Senator Jeff Sessions, from Alabama, is confirmed as of February 8, 2017, as our new Attorney General. But was this a popular decision? Sessions was an advisor for President Donald Trump during Trump’s campaign. These major decisions included aide in helping Trump communicate his immigration policy, he also chaired Trump national security advisory committee and advised Trump on who to choose for vice president, reported by Washington Post. Jeff Sessions is “arguably one of the top five power players in the country now,” said Alabama GOP consultant Brent Buchanan. Controversy aligns with Elizabeth Warren being forced to sit down in court after reading words from a letter written by Coretta Scott King, just a day before Sessions wins his place as attorney general. The Senate filibuster had been blocked by the Republicans, so Warren’s fiery statement from the letter sparked the debate against Sessions once again. “‘Anyone who has used the power of his office as United States Attorney to intimidate and chill the free exercise of the ballot by citizens should not be elevated to our courts,'” Warren read from King’s letter, as stated by CNN. In 2007, Sessions got a bill passed essentially banning for 10 years federal contractors who hire illegal immigrants. 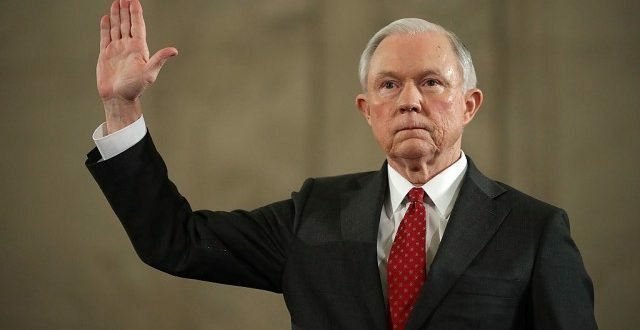 Democrats and civil rights groups have rejected Sessions nomination since President Donald Trump tapped him in mid-November, stated by ABC News. Sessions has an uneasy record of racism, contradictions over immigration and civil rights. Before tonight’s floor vote, Democrats held around-the-clock speeches in opposition to his confirmation.